Dictionary applications are more common apps which are essential for every person. No one is perfect. So, meaning of every word is not known by the single person. Sometimes we have to learn language or simply check the meaning of words that we failed to understand. We can get confusion in understanding meaning of many words which we see or listen somewhere else. 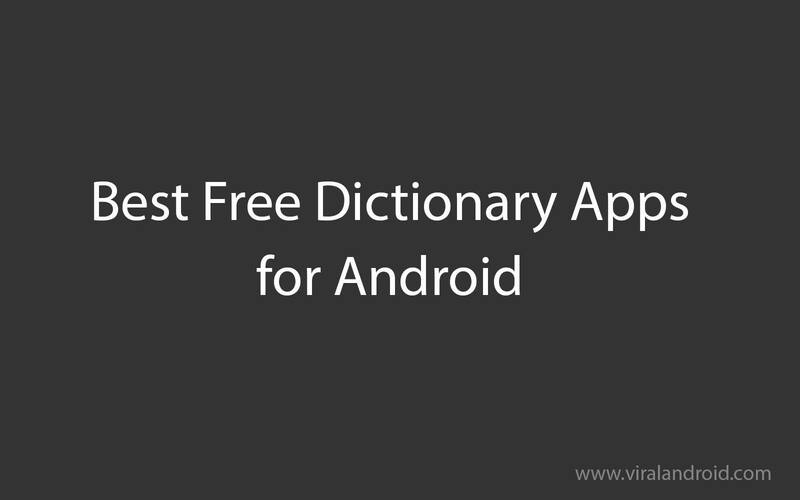 Instead of carrying a bulky dictionary, an application in your android phone or tablet works enough. Dictionary.com is the leading free English dictionary app for Android with over 2,000,000 definitions and symptoms. 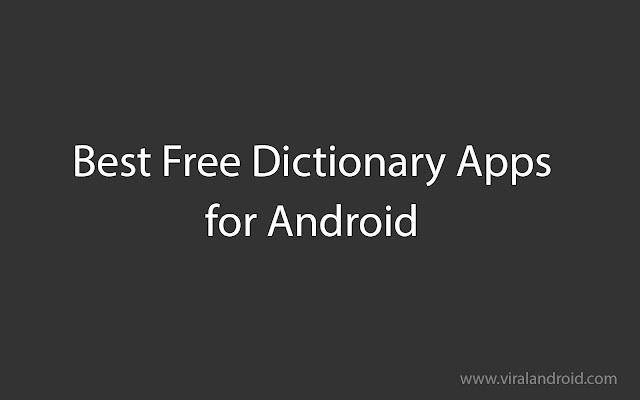 It is an amazing and the best Dictionary Application for android phone or tablet. It is filled with lots of features. In Dictionary.com, we can search quickly, we can get word of the day, we can add important words to our favorite list, we can find our recent searches easily, we can translate from one language to another which makes easy to learn foreign language, if we get confusion in pronouncing any words, for this case Dictionary has provide us audio pronunciation. Its’ especial feature is voice search where instead of typing, we just have to speak properly. When we search for word, we get its’ definitions along with synonyms, learners, origin and grammar. We get spelling suggestions too. It is a free app with availability of premium version. Note: It is an online application unless we download its’ file. So, for offline dictionary we have to go to setting from its’ side menu and we can see an option to enable and disable offline dictionary there. For offline dictionary, enable the offline dictionary when you have internet connection and you will get it offline and free from the next time. It is a free monolingual offline English dictionary which is very easy to use. It is the best Dictionary among the dictionaries which are completely offline. It seems pretty simple with lots of features and it is comparatively easy to use. There are more than 182,000 English definitions with large number of inflected forms. It is offline dictionary application. So, it surfs faster than other English Dictionaries. When any word is not found in the offline dictionary, internet is used. Its’ User Interface is optimized for both android devices like mobile and tablet. We can bookmark our favorite and important words to be remembered and can also see our recent searches. For learning words, random view is available which shuffle words. In case of difficult pronunciation, audio pronunciation is there for you. With the meaning of words, translation in certain language is also provided for us. Based on my research, Merriam-Webster is the third best dictionary among numbers of Dictionary Applications available. It offers definitions of words along with synonyms, antonyms, audio pronunciation when Android phone or tablet is connected to internet, example sentences, favorite words, recent searches, word of the day. This application is useful tool for education, reference and vocabulary building. It works offline after downloading once its’ database. It is an amazing dictionary application with attractive User Interface. It is an free application with availability of its’ premium version. QuickDic Offline Dictionary is a free dictionary which is offline and is open source. As offline applications surfs fast, this is also quite fast. We can translate the word into certain languages. It suffers from a drawback which is it lacks sharing option. Urban Dictionary is a great dictionary application with many features. This application provides option of sharing words, provides word of the day, shaking of mobile or tablet shuffles the words and words come randomly and history and starred words is also available. Its’ home screen is also available if the application has not been moved to SD card.